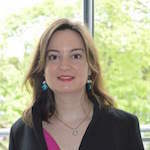 Dr Eleni Sifaki is a Research Associate at ESID, working on the Gender and the Political Settlement research project. She completed her PhD at the Global Development Institute, The University of Manchester. Prior to joining ESID, Eleni was a Fellow in Gender, Development and Globalisation at the Gender Institute, LSE. Eleni’s research interests include the politics of gender equity policy, gender and global production networks and the gendered dimensions and implications of economic crisis and austerity. Her PhD thesis explored transitions in women’s role and agency in agricultural production networks. Eleni was a commissioned author for the FAO United Nations, investigating the effects of women’s unpaid care and farm work on their access to rural labour markets in developing countries. Nazneen, S., Hickey, S. and Sifaki, E. (eds.) (2019). Negotiating Gender Equity in the Global South: The Politics of Domestic Violence Policy. Routledge. Sifaki, E. (2017). ‘What political dynamics lead to domestic violence legislation being implemented?’, New Internationalist, 8 March. Sifaki, E. (2015). Gendered Societal Transitions. The Shifting Role of Women in the Table Grape Production Network from Archanes, Greece to Europe. PhD thesis, The University of Manchester. Read our Spotlight interview with Eleni.